Flash Flooding In Alamogordo, NM This Afternoon. El Paso NWS GRLevel3_2.00 Estimated Rainfall Totals. 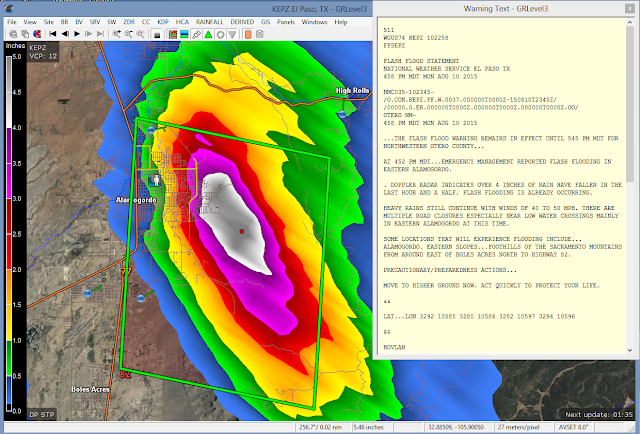 Holloman AFB GRLevel3_2.00 Estimated Rainfall Totals. 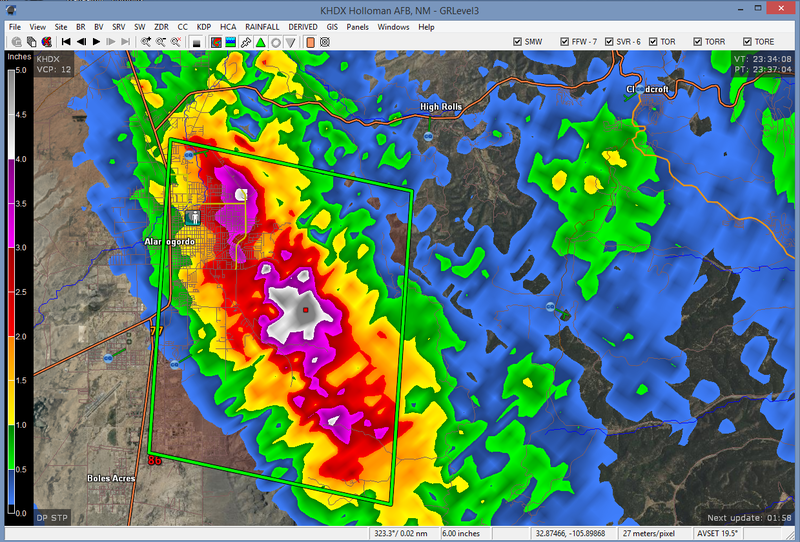 As of 5 PM MDT this afternoon flash flooding was ongoing in the Alamogordo area in Otero County. Over 4 inches of rain had fallen over the eastern parts of the city in the past hour or so. Doppler radar is estimating that as much as 6 inches may have fallen on the foothills southeast of Alamogordo.